Giles de la Mare is a special guest, and talks include Gillian Beer on Henry Brocken, Walter Wootten on “Questions, Riddles and Mysteries” in de la Mare, Christopher O’Shaughnessy on “Liminal Worlds and Horror Thresholds” in the work, and a discussion of “Ghosts” by Peter Davison and Peter Scupham. There will also be an exhibition and an evening concert of de la Mare inspired songs. Booking is open until 19 August and the registration fee is £5. Thanks for posting this -- I was happy to see the interest in de la Mare that it suggests. Is that entirely an English things? He never seems to be mentioned here in the States. Thanks, Dale. I'd say de la Mare is still reasonably well known among readers in the UK for his poetry, less so for his stories: but these are beginning to get more attention. 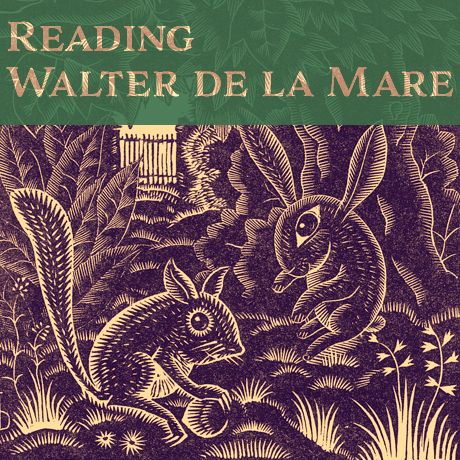 At a quick Amazon glance, it looks like the de la Mare on offer here in the States is of English origin or else print-on-demand. Used copies of some of his books, at least, are very inexpensive.